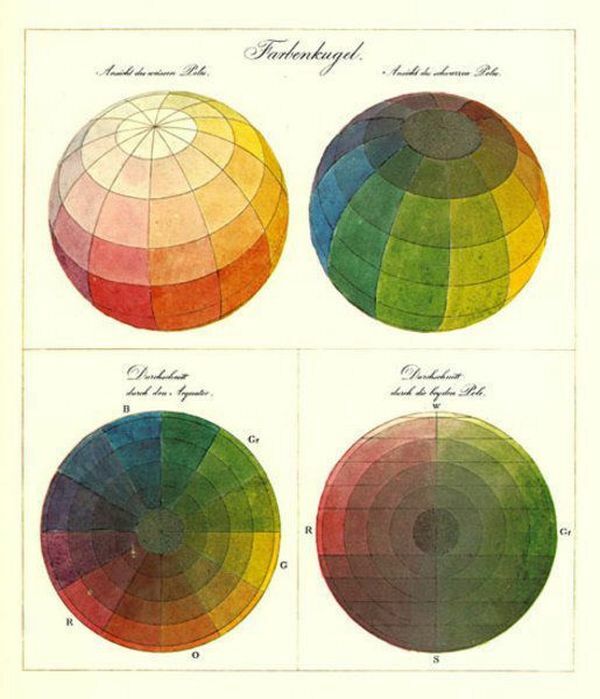 Goethe’s ideas about color were an attempt to refute Newton’s theory. 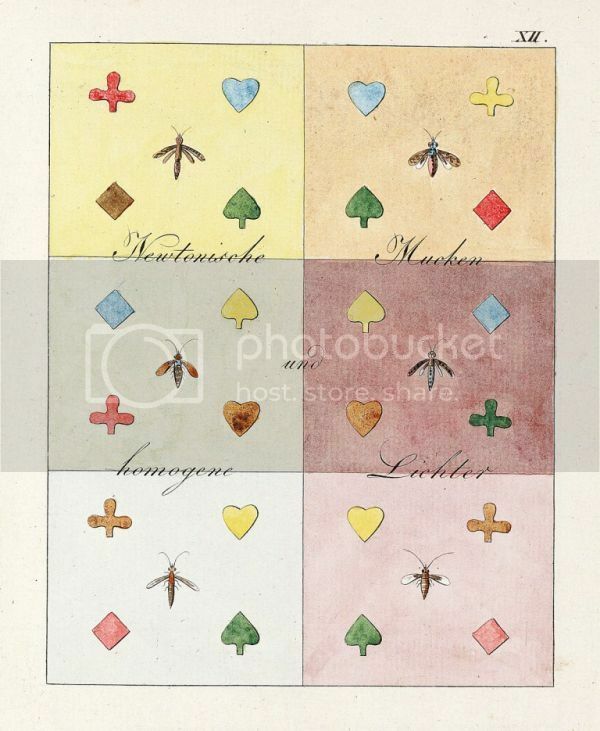 Although most of them were eventually invalidated by science, their creative value remained of intense interest to artists like Kandinsky and philosophers like Wittgenstein. Perhaps most important, they paved the way for a new aesthetic of visual representations of scientific concepts and phenomena, soon reflected in visionary works like Popular Science founder Edward Livingston Youmans’s 1854 diagrams of how chemistry works and the eccentric Victorian mathematician Oliver Byrne’s graphic interpretation of Euclid’s elements. 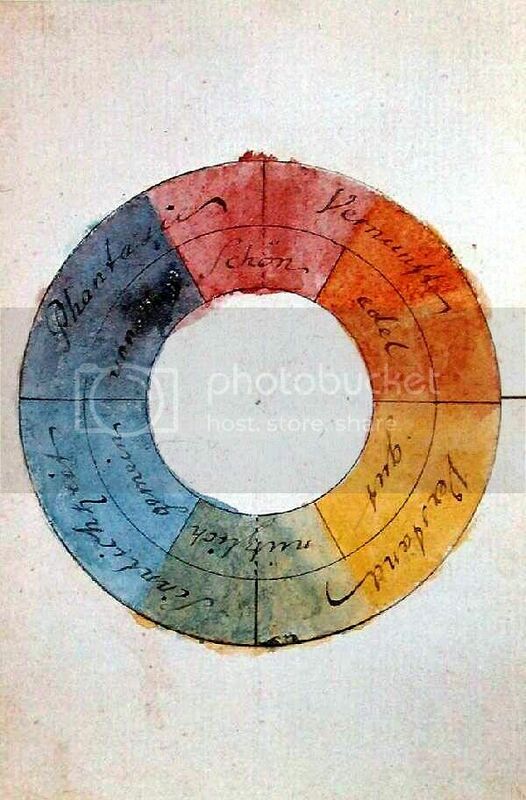 Goethe believed that there were only two pure colors, blue (“a darkness weakened by light”) and yellow (“a light which has been dampened by darkness”), but he was particularly interested in morphology — the study of forms. 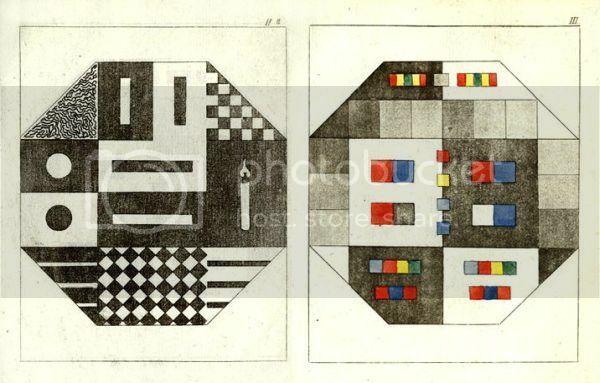 His theories of color were also heavily rooted in morphology — from his color wheel, a symmetrical arrangement of six colors against Newton’s asymmetry of seven, to his geometric diagrams of how the relationship between darkness and light shapes color. More than a century before Fritz Kahn pioneered infographics and long before graphic design emerged as a discipline, Goethe’s diagrams, recently digitized by Yale’s Beinecke Rare Book & Manuscript Library and Sweden’s Hagströmer Medico-Historical Library, stand as a graphic voice far ahead of its time. 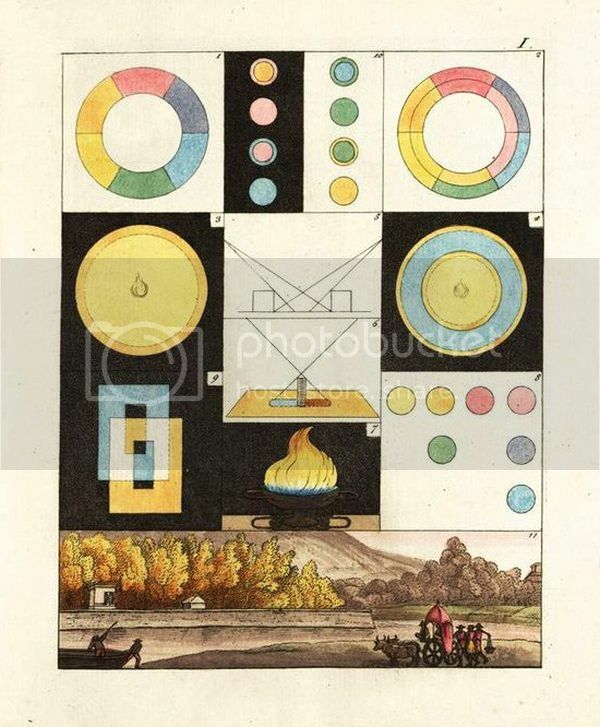 Complement with Goethe’s timely thoughts on the discipline of discernment in your media diet, then revisit the story of how contemporary color pioneer Josef Albers revolutionized visual culture and the art of seeing.